MICROSIL 100 by Tolsa is a microsphere of expanded perlite ore made of void multicellular and semi-spherical aluminum silicate particles. It allows an important reduction of the system density. It reduces shrinking and crack formation and allows reducing binder demand increasing filler concentration. It decreases cost by volume unit in final product. It reduces heat transmission and is fire resistant. It improves the yield in the application of the final product as increase volume. It has good compressive strength, high chemical inertia and neutral pH. 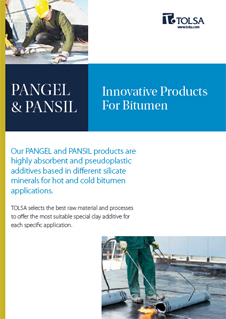 It improves flow and leveling of coatings and mortars. MICROSIL 100 can be coated with a silooxane polymer in order to reduce absorption and therefore system viscosity while improves its dispersion. It is used in resin-based waterproofing coatings and textural paints. It has a shelf life of 2 year.